Recently, the FunFair community sourced and shared with us a collection of questions they wanted us to address. So we’ve done just that and answered as many of the submitted queries as possible, although for legal and commercial reasons there are some which we can not delve into. Moving forward, we’ll be delivering a more structured departmental communications programme which will see our senior staff provide regular insight on their areas of expertise at FunFair. There will be more information around how this will look released next week. In the meantime, hopefully the below will prove insightful. Will there be a possibility to deposit/withdraw to/from State Channels (without having to use a 3rd party plugin)? 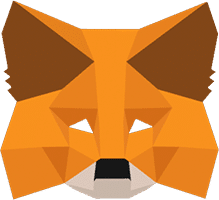 Metamask is effective for our current requirements but we are looking at in-house solutions for our wallet requirements, although we are open to other options should they suit our needs. What have the team learned so far since the launch of CasinoFair in detail? We understand FunFair have learned from this soft launch, but we would like to know what and how they intend to expand on the things learned/issues if any? CasinoFair has experienced very positive feedback from its growing player base since launch. The games have been well received, and we’re pleased with how the Fate Channel technology is working in terms of both stability and speed. Compared to our competitors in the blockchain space, the gaming experience is superior, richer and more entertaining. There are improvements to be made which we were already aware of before launch and are part of our ongoing development process. CasinoFair strives to offer the best experience to its players so we’ll be continuing to introduce new games, rewards and promotions in the weeks and months ahead. How do you aim to resolve the problem of obtaining FunFair Tokens? Our aim is to allow customers to obtain FUN tokens in order to gamble direct on the casino site and we’ll carry on working towards this goal. Advertising CasinoFair to the crypto community, those whom are allowed to participate, why has this not been part of the soft launch to raise awareness? 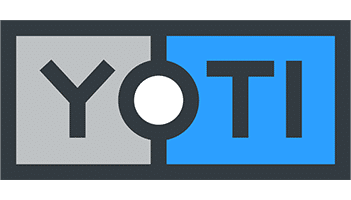 We have previously run a digital advertising campaign which primarily targeted the crypto community. We will scale this up when we release further versions of our platform but in the meantime, we have been active on retention, on-site promotions and acquisition tools, alongside our social roll-out and PR work, all of which will put us in good stead to service our growing player base. There was mention of Asian Telegram Channel few months back or for legally participating regions or just for awareness, what happened? We will be localising our community channels after launching further iterations of the platform. We accept the merit of doing so but the complexities of individual territory requirements and different languages means we are prioritising the B2B product and onboarding process for the moment. What can you share with regards to number of users on CasinoFair, countries, games played and feedback so far? A rundown of numbers and feedback of CasinoFair since launch will be included in the latest company update released next week. In brief though, feedback has been positive and we will continue to improve it as a matter of course. Is it possible to share/sell Metamask login credentials to enable people to play without KYC? If not what procedures are in place to prevent such? This would be a serious breach of our terms and conditions and we will put as many blockers in place to ensure this is not possible but, obviously, will not disclose what these will be at this time. As an aside we would urge people never to hold cryptocurrency in a wallet to which others have access to the private keys. This process has a major flaw in that those who sold the account in the first place would have access to this key and could therefore withdraw all funds in that account when they choose. Most countries where CasinoFair operates do not speak english as a first language. When is the site going to be translated? Localisation will be included in future iterations of the platform as we understand the onboarding process can be improved for local needs. Many countries we accept players from have nuanced laws about how we can target their residents, and changing the language for their needs can affect our legal position. Therefore, we will decide which countries to localise to first based on the perceived risk of doing so in relation to local legalities. English is however extremely widely spoken and we don’t see this as a serious barrier to entry at this time. What options are on the table to enable FUN to be purchased with a credit or debit card? For the time being, we are focusing on crypto to crypto swaps. We will keep a close eye on the possibility of debit card transactions on-site though. Is the FF team looking at creating its own wallet? We have a dedicated R&D team who are looking at this and it’s considered a viable option, although we are open to other opportunities. Which gambling licences have been applied for so far, with a decision pending, as opposed to being in discussions with? We will announce licence applications when appropriate, generally when the process has been finalised. However, we can say that we have a clear vision of which ones we need to operate successfully in the short, medium and long term, and much of this process will revolve around technical changes to the platform which is our priority at present. Is the latest Metamask currently working as intended with FunFair? What has been done to fix this if any issue? We try to be communicative with Metamask where possible in order for the wallet to work seamlessly with our platform. Integrating third-party tools into any site poses challenges, but we have expert teams able to resolve update issues when they happen and we are confident of our procedures related to this. Apart from Airswap, what innovations to the user experience will we see in the RTR release? Our first generation platform is undergoing significant work, particularly on the onboarding process, and RakeTheRake will be the first partner to go live with these updates when launched. We will not be communicating what these are specifically until they are finalised. What additional countries are going to be onboarded with the current CasinoFair licence, if at all? Countries made available to CasinoFair users will be announced after the fact as opposed to before. CasinoFair currently accepts players from 14 jurisdictions which have a significant crypto-holding population. We believe this more than suffices the requirements of the first generation platform and will open up to new countries when deemed appropriate. What additional games should we expect to see live with the RTR release? Our games studio has an exciting roadmap for game launches over the coming months. We have a number of games nearing completion and many more in development which you’ll be the first to hear about. We understand that FF is one of the biggest teams in crypto. How are the teams members organised (ie development, legal, marketing etc? We tend not to work under specific departmental titles as many responsibilities are shared throughout the business. However, the general organisation consists of design, product, development, marketing and management teams. I would like to open my own KYC-less crypto casino. Will FunFair support me with this? If so how? Or is this even possible? We will only license third parties that are fully cognisant of their statutory responsibilities and we can’t see how that would not involve some form of KYC. Dispute resolution is a significant part of online casino management? Is this going to be managed by FunFair or the operator. If the latter, how easy is it for non-crypto savvy individuals to do this in practice? Dispute resolution is run automatically as part of the protocol on the blockchain and therefore is not managed as such. What strategic changes are being made to keep the FF community engaged in terms of communication and when should we expect to see changes going forward? We are looking at ways we can restructure our community channels and deliver more content and updates through official channels such as our blog to enable us to focus on the product which is our main priority. Can you tell us more in depth about the Curacao License? What are the benefits? Which regions does this license cover/apply to? This question touches on issues that are subject to legally privileged advice from our lawyers which we therefore cannot share. Suffice to say we have worked hard to ensure we can offer our services to customers from permitted jurisdiction without being in contravention of applicable law. Who is responsible, to further market FF Blockchain Technology to end users? Third Party or FF themselves? And how is/will this done? Each third party casino operator will be responsible for promoting their casino and acquiring players. The methods for this are at the discretion of each casino. FunFair Technologies is the company that provides the platform, license and back-end services for them to power their casino. Once RTR are live with FunFair Tech, Games etc, are there anymore third party casinos lined up? We continue to push out to the market to both potential operator and white label partners but cannot discuss ongoing deals. We will announce all casino partners when contracts are signed and both parties are happy to announce. Could we have a weekly/monthly video update, can be shared via communities, social media? We are aiming to start sharing more video content. We’ll announce how this looks in due course. Could we have a “day in life” style office walkthrough? Why would online Casinos use FunFair if they always have the advantage of the house with the current system? FunFair-powered casinos still hold a house edge and will therefore receive income from that. If you are referring to the “advantage of the house” as a means of cheating players and fixing the edge to their own gain, then our platform would not work for them as it delivers fairness and transparency for all parties. Social gaming was supposedly meant to be a key thing in White Paper v1 but is now not mentioned in White Paper v2? Why is this and what has changed? White paper v2 refers to what’s happened up to going live and what’s to come in the foreseeable future. Social gaming has been talked about in the past, but we have no fixed plans to develop it further in the medium term while we focus our efforts on delivering a quality blockchain casino platform and bringing more partners on board. Is it possible to have a telegram news feed where tweets, announcements and general news no matter how small or big, can be broadcasted and not limited to discord? This has been asked of many times.